Summer has arrived, and it’s a great time to get some extra work done around the house. With longer days, nice weather, and a more relaxed atmosphere that tends to pervade most aspects of our lives, there’s no excuse not to be productive. With that in mind, here are some ideas that most of us could probably take advantage of regarding how to fix up a home during the summer. Homeowners know that some nasty issues can befall a house, even if there’s been regular cleaning and upkeep. And a lot of these issues make themselves known during the summer. For instance, if you have an ant problem, or even a termite issue, you might become more aware of the insects when they come out of the ground and help themselves to your home in warmer weather. You might even find that if you have had rodents, they’re less careful about concealing their presence when they’re not burrowing into your insulation or crawlspace during the winter. These aren’t pleasant issues to discover, but they do require immediate attention. For an ant problem, you should set out traps as soon as you see them. If you notice termite damage, you need a professional assessment and property-wide treatments immediately. And if you have even a hint of rodents, you might want to explore attic cleaning and, if necessary, put out traps as well. All of these issues can ultimately harm your home, but if you confront them head-on you can do away with them this summer. If you have a heap of boxes and old furniture in your garage or basement, rest assured you’re not alone. This is the kind of clutter that can sit around collecting cobwebs for years without being addressed, because really it’s not hurting anyone. 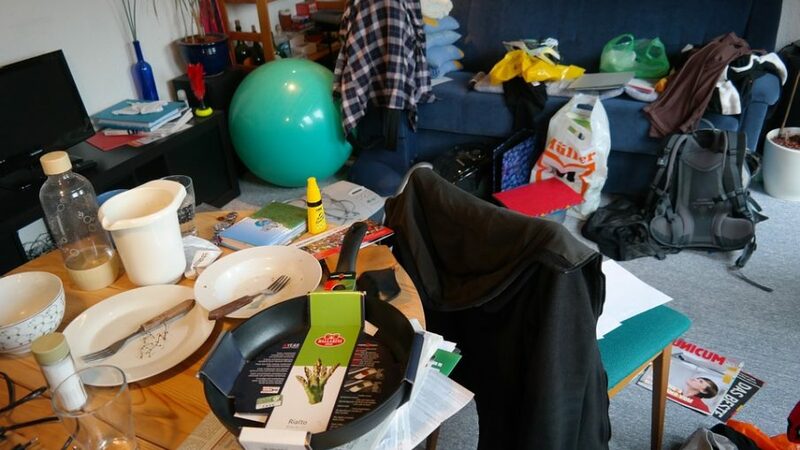 But it’s still clutter, and it still needs to be dealt with at one point or another. Why not make that point this summer? This doesn’t have to be as painful a job as it looks like. Sorting is the tricky part, as you’ll need to decide what’s trash, what can be donated, what should be kept, etc. But when it comes to simply transporting these items, there are all kinds of ways to make the job easier. You can actually rent forklifts for home use these days, so that’s certainly one way to go about lightening the load. In a single afternoon you can lift and sort all the heavy boxes and old items that are giving you trouble. Or if you want to go the elbow grease route, you can always bring over some friends or hire a few neighborhood kids to help you with the lifting. The real hurdle with a job like this is just determining to get it done. Basic lawn care isn’t really a chore for a lot of homeowners. In fact, it can be a point of pride, as well as a means of exercise. Most of us don’t mind getting out and mowing the lawn once or twice a week, as well as taking care of other basic tasks to keep things from getting overgrown. But during the summer, you have a nice opportunity to go a few steps further and really repair and upgrade your yard and/or garden. Different ways to upgrade depend in part upon your property, but can involve all kinds of different efforts. You might want to plant a different kind of grass, or shape your lawn differently. You might consider laying a new path to your front door, or adding some new outdoor lighting to the area. Or it might be as simple as planting some new bushes or flowers before it’s too late in the year to do so. You can take care of any spaces that might not look as nice as the rest of the yard, and make your entire home more appealing in the process. If you really have your sights set on a major home improvement effort this season, you might want to make now the time to build a full addition to your home. For a lot of people, this means adding on something like a sunroom or a small wing for guests, or perhaps an elderly family member. For others it might be something more basic, such as altering the front entry, or building a deck. These are pretty involved projects, and you might want to run your ideas by professional architects, as well as hire professional builders to help. But that doesn’t mean you shouldn’t take steps to make it happen. The summer season offers a nice long opportunity to get a job like this done, and to do so before the weather makes it difficult to work outside.